When someone suggested to me that interviewing experts would be an amazing thing to do and would be extremely useful to many other people, I jumped at the idea. So off I went to do my thing. Quite scary really because I would have to contact people whose names I had only heard spoken with reverence and awe. But “Why not, what have I got to lose?” I thought. It took some persistence but I found that even though all the people I contacted were not available, they were all kind enough to give me some of their time, no-one just cut me off without a reply. After contacting over twenty people I had my interviewees lined up. 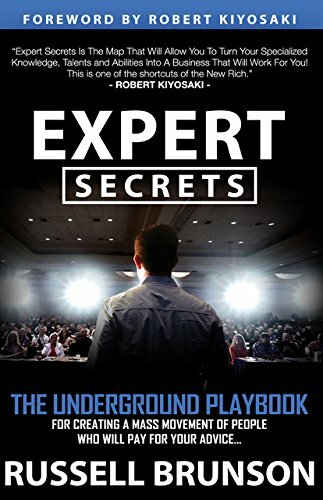 I interviewed eleven of these top experts on traffic and produced Underground Traffic Secrets 1. Where to go next? I realised that very few of the people I had contacted were women. “Surely there are many successful internet entrepreneurs out there who are also women”. So I thought to do a series of interviews with just women was a good idea, and I’m so glad I did. I had great fun doing all the interviews and the second set allowed me to produce Underground Traffic Secrets 2. Whilst all these experts shared their priceless information and advice with me, I exponentially gained more than just the information they shared. In the very process of surrounding myself with experts, something rubbed off and has affected me in a profound way. They were all eager to share this with me and also eager that they would be instrumental in helping others to succeed on the internet. The contents is gold dust and hence the production of the The Underground Traffic Secrets Collection. I’m sure you can benefit from the traffic strategies that the experts shared, but also gain the wealth of business knowledge that is ingrained within every interview. For me this is as, or more, important than the very knowledge itself as there are the stories of the process of success and the mindset behind that success. This is the interview with Ana Hoffman, founder of the Traffic Generation Cafe, in which she answers the question “If you were starting again today and you had absolutely no traffic which traffic strategy would you use to make $1000 in profit after 30 days”.